A mysterious gift. A secret society. A special moment for you and your child. Memories to last a lifetime. Kids grow up. Sooner or later, they start asking about The Tooth Fairy, The Easter Bunny, and Santa Claus. For kids who already know...or are ready to learn THE TRUTH. How do I talk to my kids about the big guy? 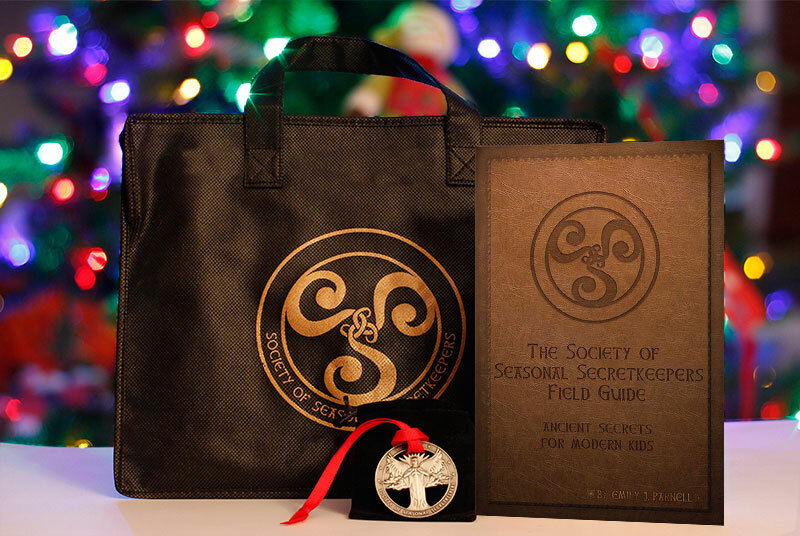 Take your child on a mysterious journey through the clandestine underground of the Society of Seasonal Secretkeepers. It's FUN to learn the TRUTH. Together, you'll decode the Mysterious, Maybe Awful Truth about Santa, the Easter Bunny, the Tooth Fairy, and other seasonal magic. Your child will complete secret missions to earn their title as Secret Agent for this ages-old secret society. From a personality test to dreaming up a magic trick to making up their own holiday, the activities throughout the kit will let kids exercise their creativity while coming up with ways to be kind to those around them. A SPECIAL MISSION that includes a $5 donation to a charity of your child's choosing. 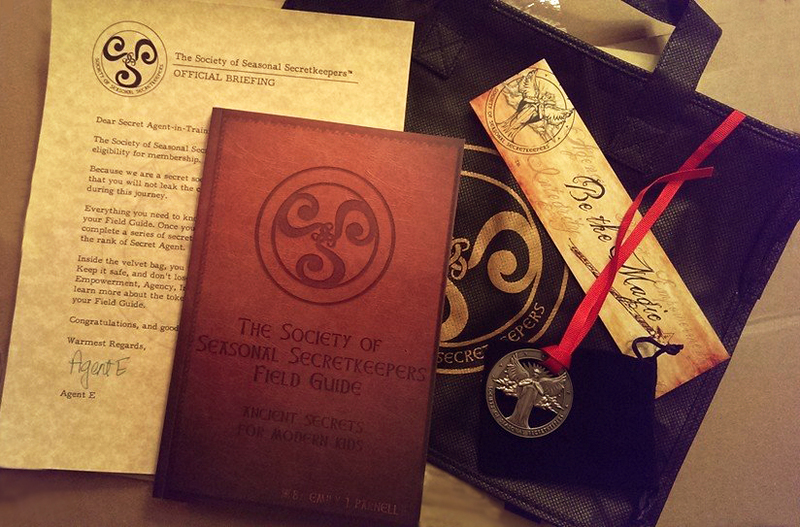 An 80-page, full-color Society of Seasonal Secretkeepers Field Guide. See what's inside. 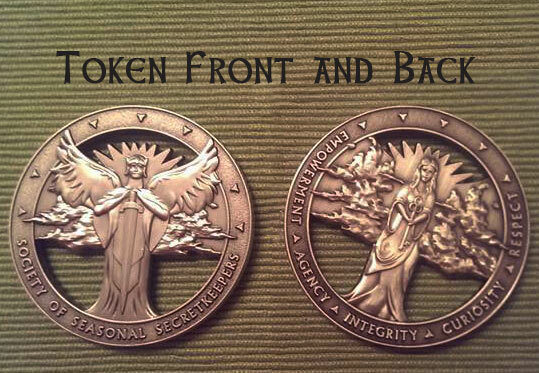 An official, heirloom-quality token with the Society's seal, inscribed with the values of Empowerment, Agency, Respect, Curiosity and Integrity. The token is 2" in diameter, and comes in a velvet gift bag with a red ribbon and presentation card. 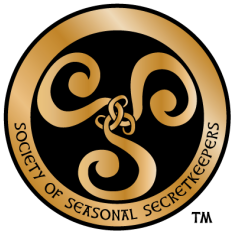 A personalized letter from the Society of Seasonal Secretkeepers, welcoming your new Agents into this exciting new adventure. 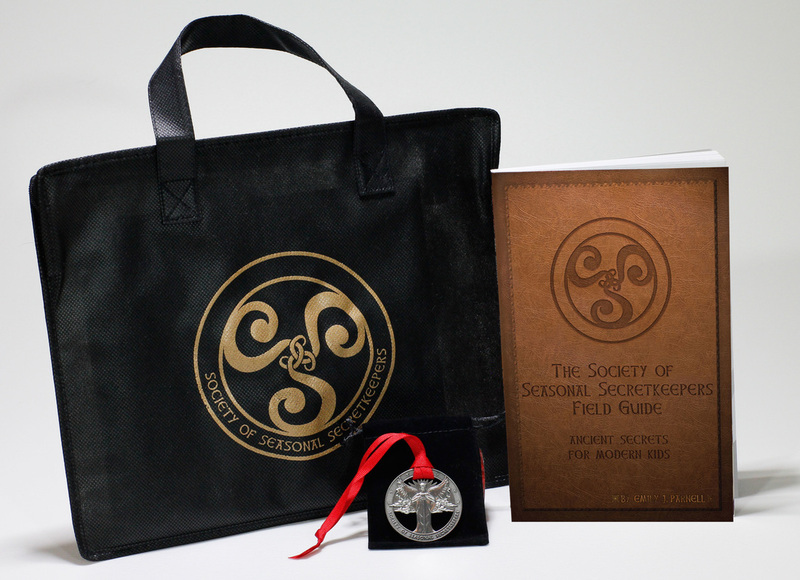 These items all come in a super-secret, zippered, brief-case style bag imprinted with the Society logo to keep the Field Guide and other treasures safe. Now you and your child can enjoy the time that comes after your child learns The Mysterious, Maybe Awful Truth about Santa, the Easter Bunny, and the Tooth Fairy. Full of encouragement, fun ideas, creative prompts, and activities. The custom minted token will feel special and important - and maybe a little bit magical - to your child. Helps you teach the value of your family's beliefs and traditions. Makes kids WANT to guard The Truth for younger kids. 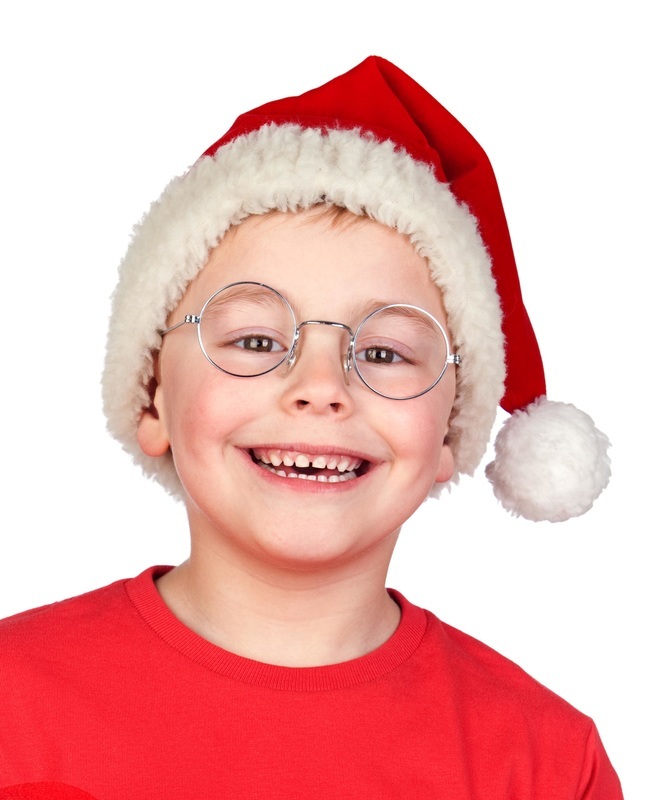 Appropriate any time of year, with supplemental, online seasonal ideas to make each child's experience feel timely. Ideal for kids who found out The Truth in the last year or so, with an age range of about 5-13.